It’s a bit strange that, in the six years I’ve been reviewing new vehicles, I have never once reviewed a commercial vehicle such as a cargo van. Even stranger then that when the time finally came to get some seat time in a cargo van, it was made by a brand not typically associated with commercial fleets. Mercedes-Benz is best known for its big luxury sedans, GT roadsters or those barges they call SUVs. As a result, most were puzzled by the large three pointed star displayed prominently on the dark grey coloured plastic. A Mercedes with plastic cladding? It’s almost oxymoronic. 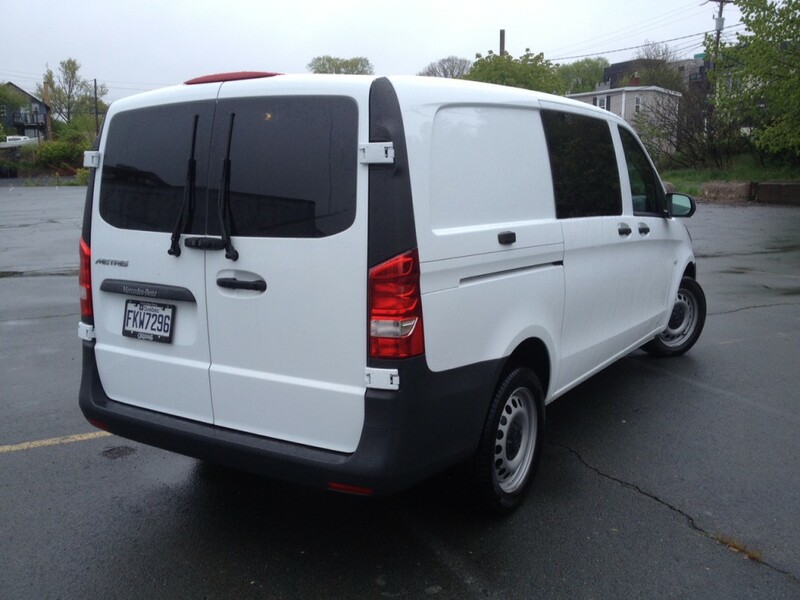 Ford’s Transit is the go to for most who need a commercial cargo van. To date, Ford has sold over 4,000 units and looks to be well on track to beat their sales record for Transit vans last year which topped out at close to 8,800 units. I’ll admit, it’s a bit odd to compare a Merc to a Ford, but here we are. The Metris has a few aces up its sleeve, but is it enough to legitimately take way from other more established cargo vans? Well, it’s a van. There’s only so much you can do with its design and as such, the Metris doesn’t necessarily stand out apart from the large aforementioned symbol on the grille. It looks very basic from the outside with the dark grey plastics, drab looking 17-inch wheels and white paint. You can, however, spice up the exterior of it if you so choose. 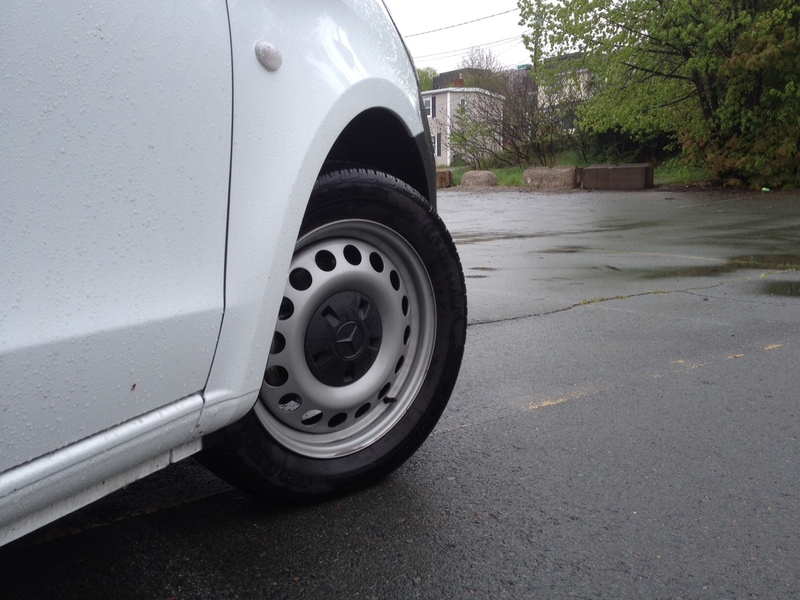 17-inch alloys are available along with a wide range of colours. You can also spec out your cargo vans number of windows ranging anywhere from no side or rear windows at all, to two side windows to four. You can also choose what sort of rear doors you’d like ranging from a large tailgate design, to the two split doors. The right side door needs to be opened before the left, which is fine, but the latch for the left side door is located fairly low for some reason. Size-wise, the Metris fits smack dab in the middle of Ford’s two cargo van offerings, the Transit Connect and the Transit. It’s also worth mentioning that the Metris can be had as a passenger van, though it’s unlikely a Sienna or Odyssey customer will add it to their shopping list, the passenger van makes a case for itself with fleet sales; an airport shuttle for example. 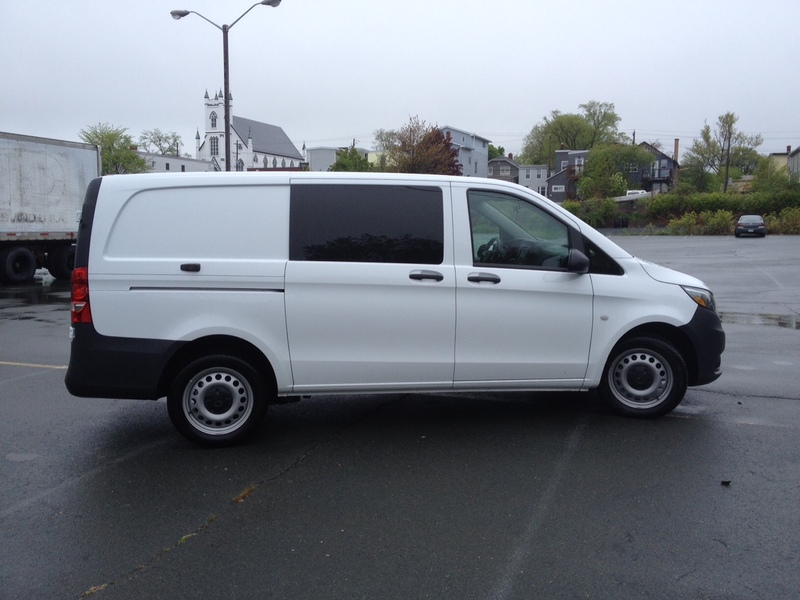 Even though this is a Mercedes, no one should expect typical Mercedes like fit and finish in a cargo van. With that said, the interior is actually relatively pleasant. 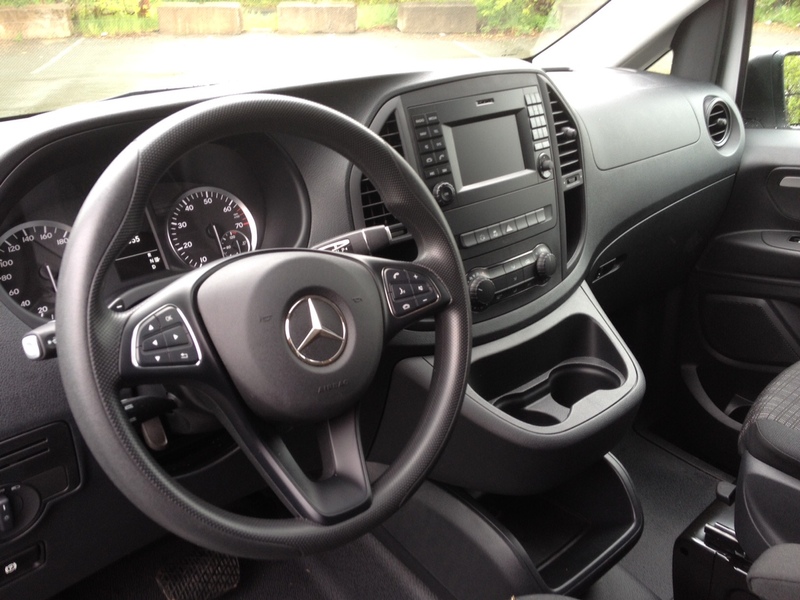 It features Merc’s good looking corporate steering wheel and has lots of different cubby holes to put your sunglasses, wallet, papers or anything else a courier driver might have on them. Unfortunately, the centre stack provides a bit of a cheap look and the noise that generates from the optional full-length patrician reminds you that you are not in fact driving a typical Mercedes. On top of that, the patrician limits seat adjustment so it’s difficult to get into an ideal position and later causes discomfort though I’m not entirely sure this can be blamed on lack of adjustment as the seats themselves aren’t exactly lay-z boys. The strange adjustment of the steering wheel also makes it difficult to get truly comfortable while driving. I am aware that this is a cargo van and comfort is a lower priority, however even small trips started to become a bit unbearable – and let’s face it, small trips is likely what this van will be tasked with most of the time. Also, in fairness, Mercedes does offer a seat comfort package for $430. I would strongly recommend checking this option off. The good news is behind the patrician where there is an abundance of space. Matched with a low load floor, there really isn’t a whole lot that wouldn’t be able to fit back there. While I surprisingly didn’t have too many friends of family jumping at the opportunity to haul large items for free, I did get the opportunity to help a friend move newly bought patio furniture. Throwing the furniture in the back was too easy and the amount of room leftover for more was impressive. While you might expect to find a diesel under the hood, no such option is available on the Metris. As such, the Metris gets a gas-only engine – the same found under the hood of the CLA and GLA; a 2.0 litre 4 cylinder which produces 208 horsepower and 258 pound feet of torque. The end result is adequate power available a lower RPM’s. The torque can be felt at around 1,200 RPM’s and stays with it long enough to adequately get it off the line. Power is smooth and it works well with the seven-speed automatic transmission. While the Metris can’t really be described as fast, it also can’t be described as slow. Few people will be dissatisfied with its performance off the line. But what’s it like driving a giant hollow tin can down the road? Well, probably exactly how you picture it. Refinement, aside from arguably the engine/transmission set up, is not the Metris’ forte, though I will admit the patrician does a decent job of keeping the clangs and rattles from being overly intrusive to the cabin. The downside of the patrician is one massive blind spot. Even though my tester was equipped with optional side windows, the patrician makes sure you can’t see out of it from the driver’s side. As a result, merging onto the highway can be a particularly stressful experience. All you have to depend on is your side mirror and wishing you had the neck of a giraffe. It also doesn’t help that the mirrors are a bit on the small side. Likewise, backing the Metris into a space can be trying. The visibility out the back is already limited due to the split door set up, but my tester also didn’t feature a back-up camera which would have handily helped out. Luckily, once you get used to the fact that your visibility can be limited, the Metris is fairly maneuverable thanks to a rather tight turning radius matched with light, but not overly boosted steering feel. 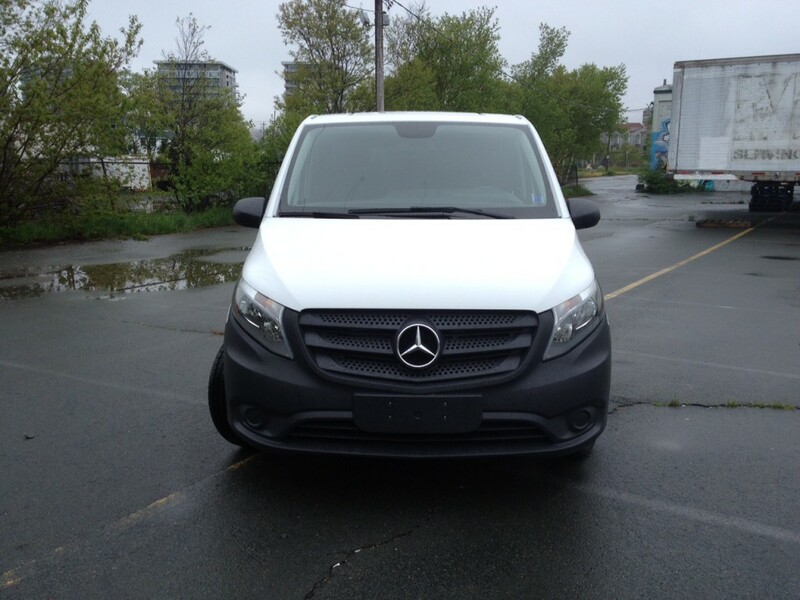 Don’t even ask about its handling abilities; this is a cargo van, remember? Besides, you wouldn’t want to show up to your destination with damaged cargo because you tried to take a corner as if you were in an AMG tuned Benz. Officially, the Metris is rated at 10.8 L/100 kms in the city and 9.5 L/100 kms on the highway. IN real world, mostly city driving, I managed a rather impressive 9.8 L/100 kms. There are much smaller Benz’s that wish they could post anything close to that. With that said, more often than not I didn’t have any cargo in the back which likely helped. If you were to use this for every day commercial use, you should probably expect fuel consumption numbers to be a bit higher. While I actually did enjoy driving a cargo van around for a week, I’m not certain if the Metris has what it takes to get blue collar workers out of their trusty American cargo vans and into this trusty German and a big reason why is the price. At just shy of $40 grand, the Metris’ sticker price is certainly appropriate for a Benz, you are of course not getting the typical niceties of a typical Benz. 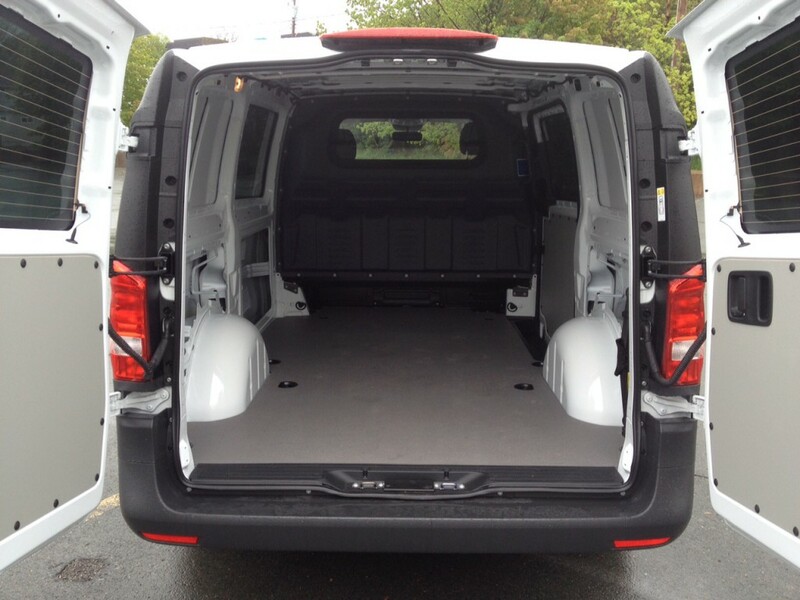 On top of that, it isn’t actually a full sized cargo van like the Ford Transit or the cargo van offerings from RAM. But, that may be a good thing. 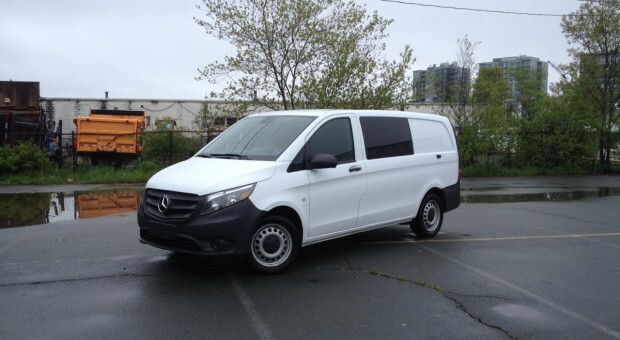 It may be the case, and I would suspect Mercedes has the marketing study to back it up, that there is a market for those who want a smaller sized cargo van, but may find the Transit Connect to be too much on the small side. 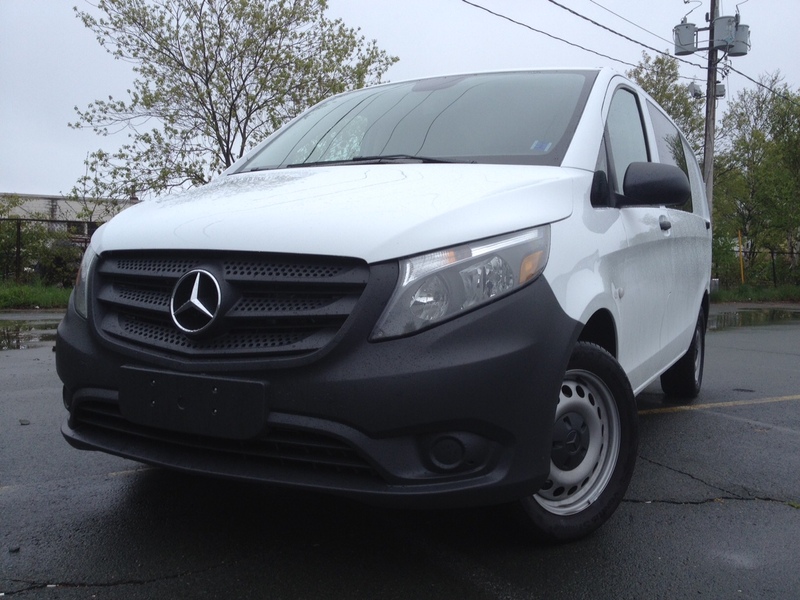 Besides, as a bit of a new player in the cargo van game (the Sprinter notwithstanding) it may take some incentives from Mercedes to initially stimulate sales. 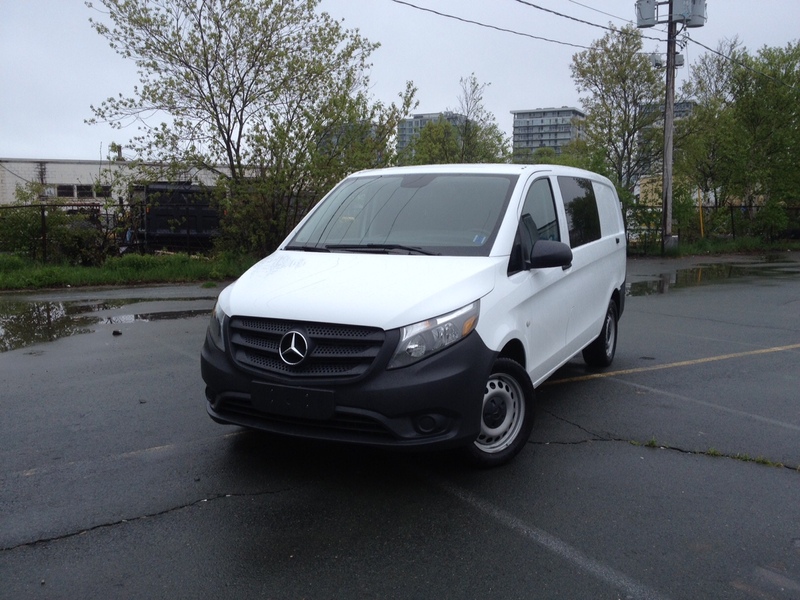 If you can snag a decent deal, the Metris is a decent van for the task.